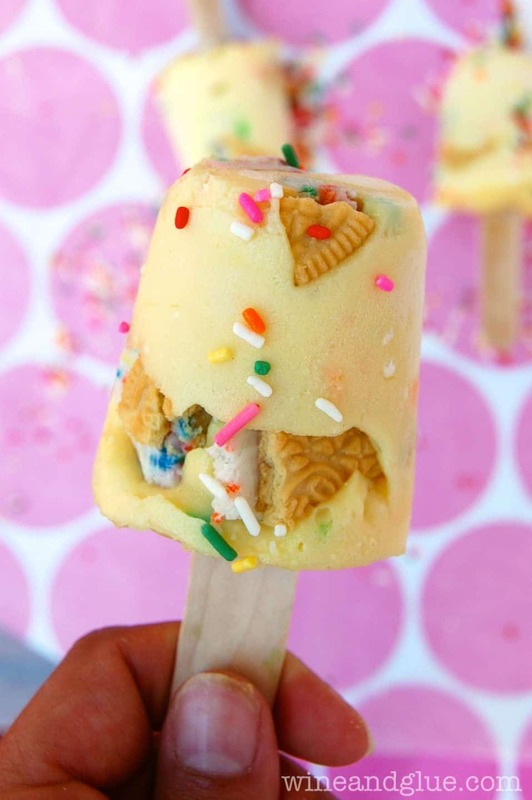 Cake Batter Pudding Pops! 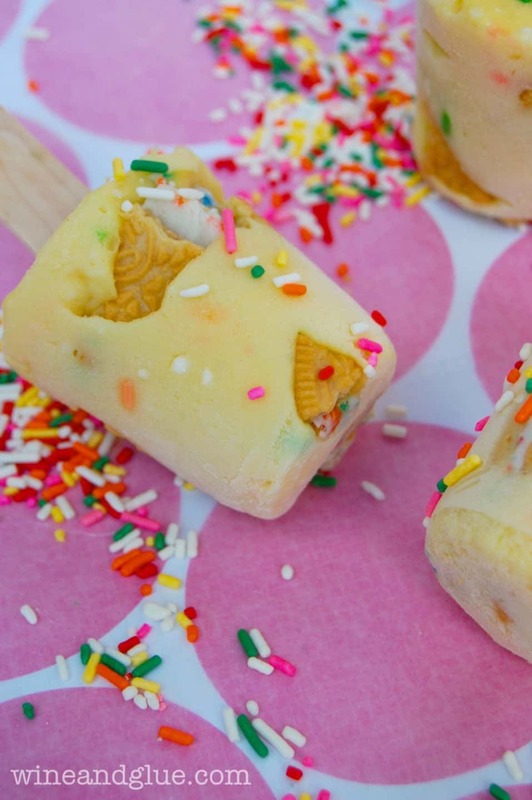 A frozen treat that is almost embarrassingly easy! I had a friend one time tell me that you shouldn’t wish away good things. And that’s true, I think. But . . . . there are also such things as mixed blessings. And for me, I think that a lot of the really busy times in life definitely count as mixed blessings. Usually whatever it is that is making you busy is something that is great! You know . . . school (it’s good to learn), work (we need money, ‘yo! ), family functions (almost always a good thing). That’s certainly the case with me right now. Busy. Busy with all good things. But woah. Busy. So I am doing my best not to wish away good things, to be grateful for all that I have. Maybe I should wish to slow down time? 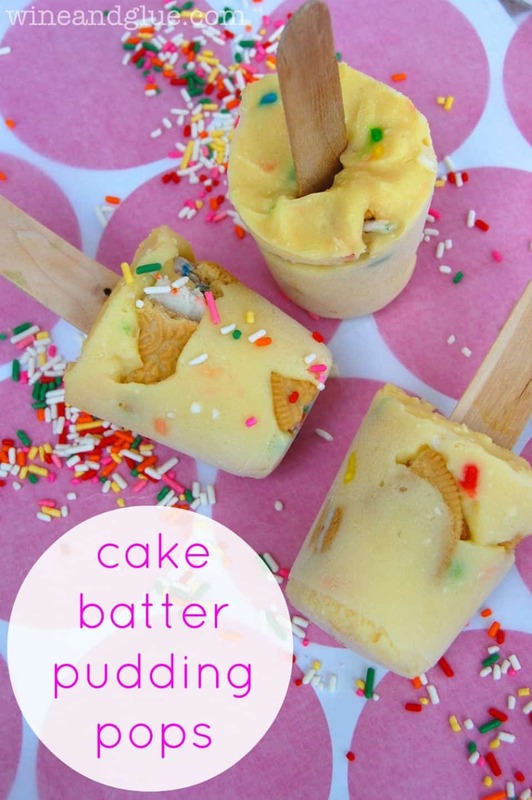 If you are busy not wishing away good things like me, but want a tasty and indulgent little treat, then let me present to you Cake Batter Pudding Pops! Inspired by my buddy Joan over at Chocolate, Chocolate, and More and her insanely good looking Rocky Road Pudding Pops. They come together super quickly, freeze up well overnight, and offer you a sweet little break from crazy reality. Mix together the pudding mix and the milk in a stand mixer for about three to five minutes. 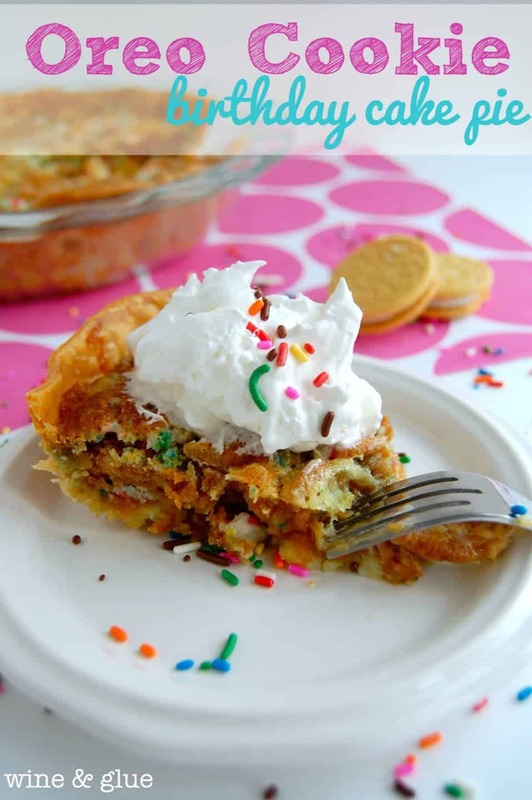 Mix in the cake mix (just the powder mix, nothing more). Break up one Oreo per pop and layer the pops (in the dixie cups), Oreo chunk, pudding, Oreo chunk pudding. 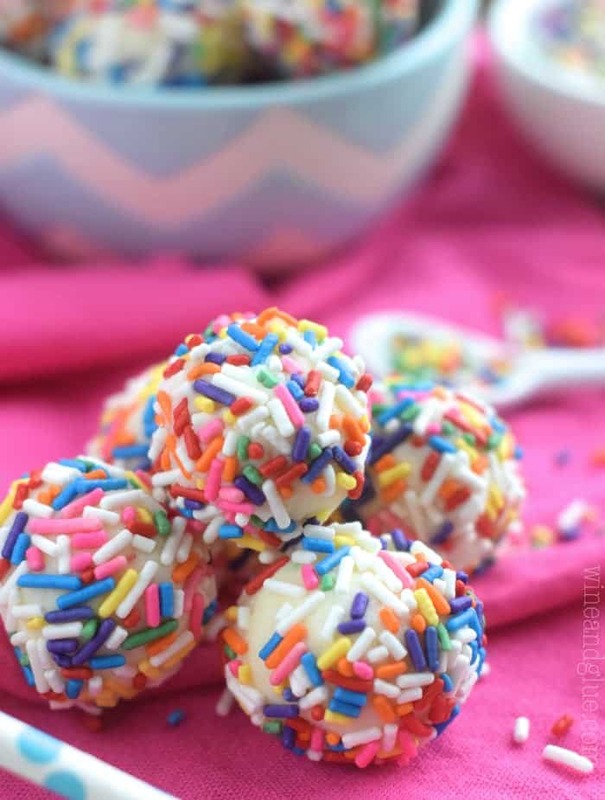 Add a popsicle stick to each one and set them upright on a tray or I used a mini muffin pan and that worked great. Freeze overnight. Pull off the paper and enjoy! 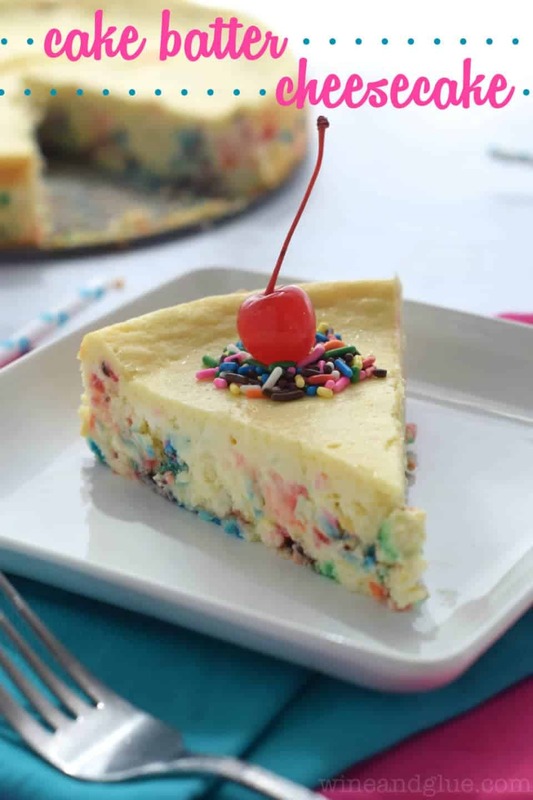 Looking for more cake batter deliciousness? Sometimes I just want to shout at Mother Time to slow the heck down. It’s unbelievable how fast time is going! Love these pops and have an awesome time this weekend! Thank you so much for letting me know Lindsay! !